At Bridgewater, we love hearing about the great experiences you have on mall, at our events and in our stores and we love it when you tell everyone else! Maybe you really enjoyed one of our fantastic family-friendly events or did you have a great experience in one of the 30+ shops, restaurants and stores – let us know! 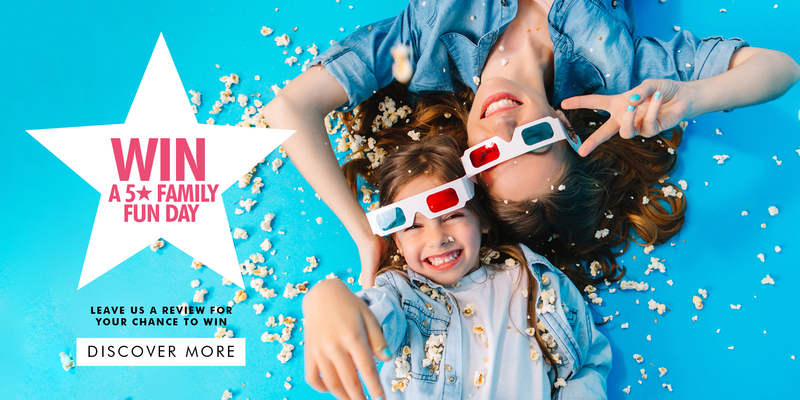 We want to reward those customers that leave a review so each month we will be giving away a family pass for Bridgewater’s Omniplex Cinema including popcorn and drinks to one lucky reviewer. Bridgewater Omniplex is a state-of-the-art cinema, centrally located in the Bridgewater shopping centre, conveniently close to Eddie Rockets and Oasis of Taste. Enjoy all of the latest blockbuster releases! There’s also a kids’ zone to keep the little ones entertained throughout their Omniplex experience! For your chance to win a 5 Star Family Fun Day at Bridgewater Shopping Centre just leave us a review for your chance to win.